​It's no stunner: the Chicago Cubs are going to their Big Hoss for their next winner-take-all game. 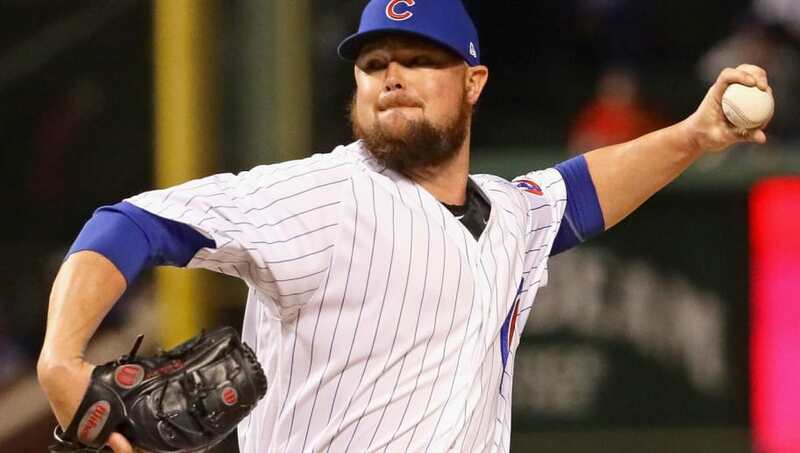 Not long after the Brewers squeezed Anthony Rizzo's final out in right and ​took the NL Central, Joe Maddon made it clear that Chicago would be using ​​Jon Lester​ to capture their most important game of the year. Just make it clear in the pregame this isn't 2014 anymore; Lester famously fatigued and blew that Wild Card contest on the road to the Royals. Cole ​​Hamels, on impressively short rest (he started Saturday), will be the long reliever stirring behind him. Clearly, if they advance to the NLDS, the Cubbies feel confident in their other options, and would be willing to burn choices one and two in one game just to get to the next round. The lefty with postseason success as his hallmark in the only game that matters. That'll do.